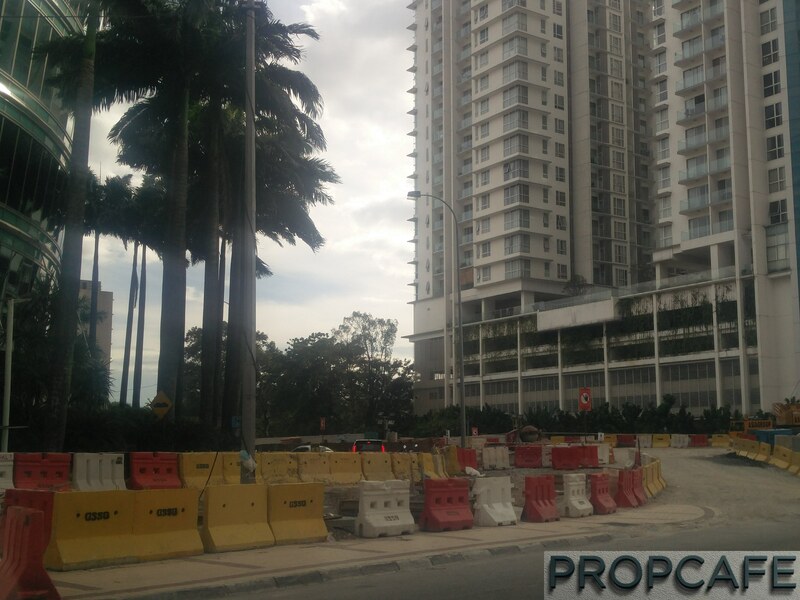 PROPCAFE Buyer Diary: Why Queue To Buy 3rdNvenue - Neu Suites @ Embassy Row Ampang? PROPCAFE witnessed a BBB mood last Sunday at Pullman Hotel and received many private messages to ask about this project, Phase 1 of 3rdNvenue – Neu Suites. With many projects are on our piplines, PROPCAFE will not do a detail review on this project. Maybe next phase? However, one of our followers, Benjamin, managed to get a unit and he is happy to share the information of the project and key reasons that help him to make his decision and queue for whole morning! Density: 396 units per acres. 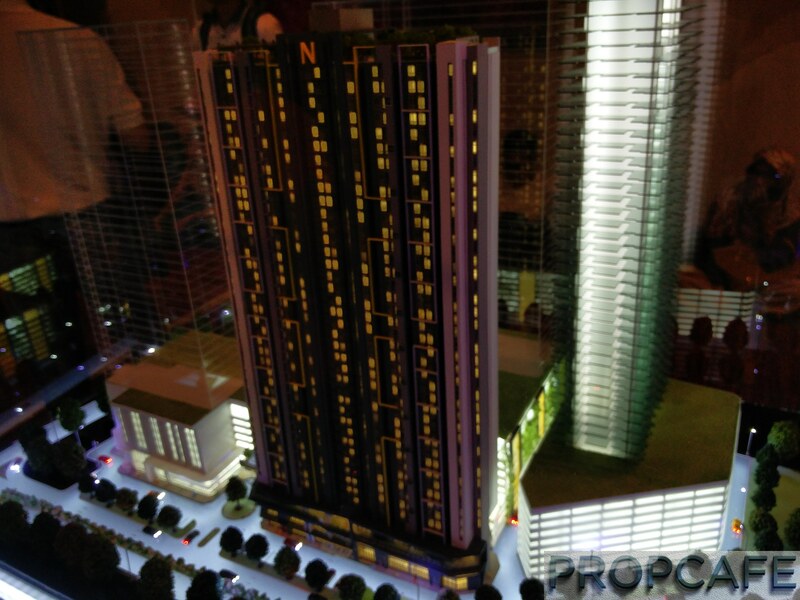 PROPCAFE Density Rating: Very High (Note: Low: <60; Avg: 60-99; High: 100-149; Very High>150 for High Rise Project). Of course, there are many more factors to be considered. 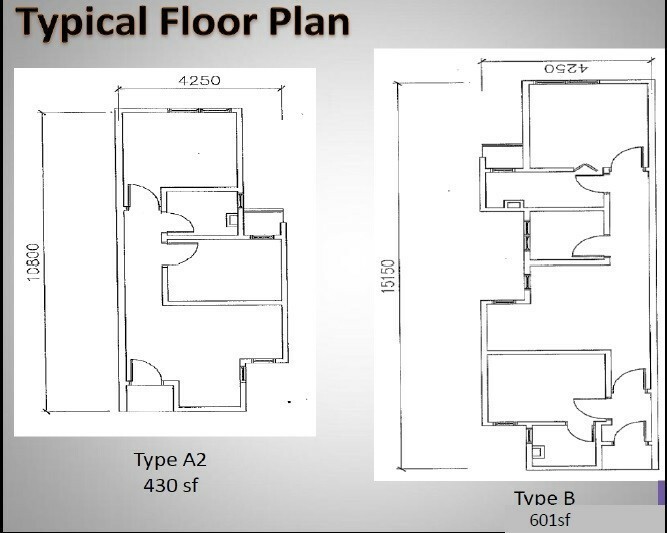 For example, unit size and total number of bedrooms etc, which are not available at the moment for this entire project. Mitigation factor like number lifts to disperse crowds, common areas allocation, access flow etc. 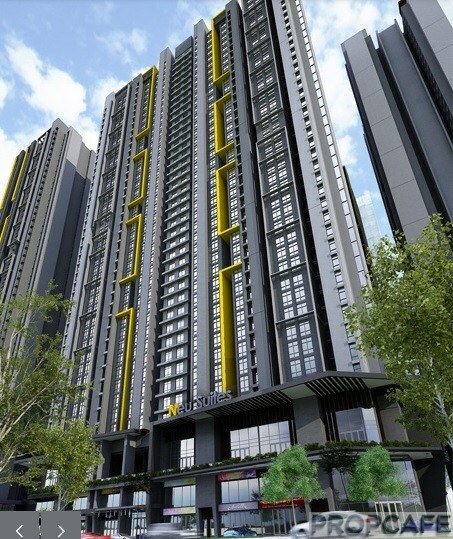 The project is located at Jalan Napah (off Jalan Ampang). Easier to be recognised as opposite Great Eastern Mall at Jalan Ampang. 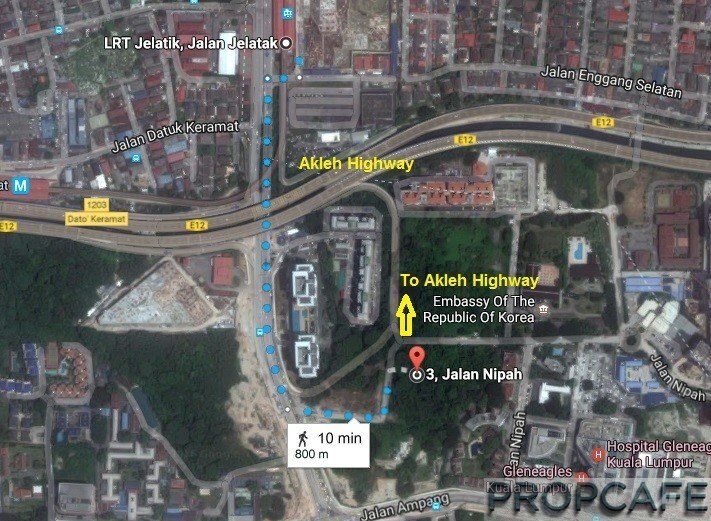 LRT Jelatek is 800m away (10mins walk). It has great advantage of exiting to Akleh without hassle compares to other nearby competitors (see photo below). To KLCC: 3.9km and estimated 8mins drive (of course, Jalan Ampang is never easy to be in “off-peak” condition. Prepare more time for your travel!). You don’t have to be expert to know that Ampang has everything you needs! Amenities Photo – Source: Benjamin’s agent. Thanks. What is going on now in Ampang? Ampang is famous of its TRAFFIC JAM. 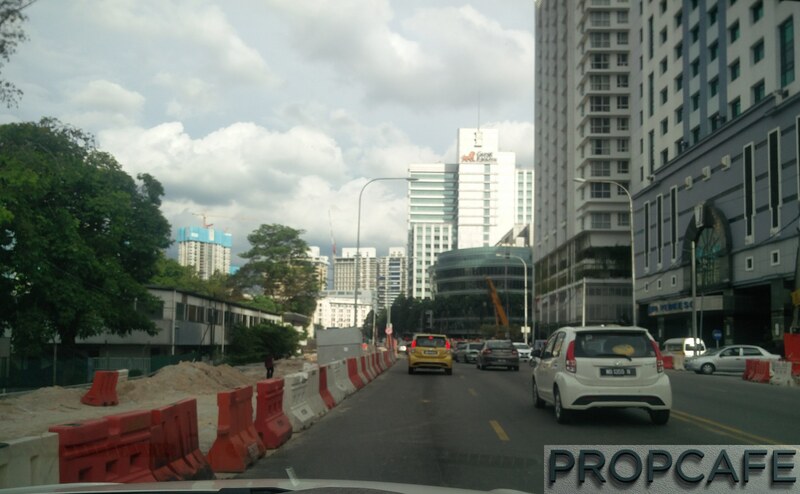 The good news is, DBKL recognised that and the road widening works are in progress. Source: Lowyat Forum: Jonathan. Thanks! 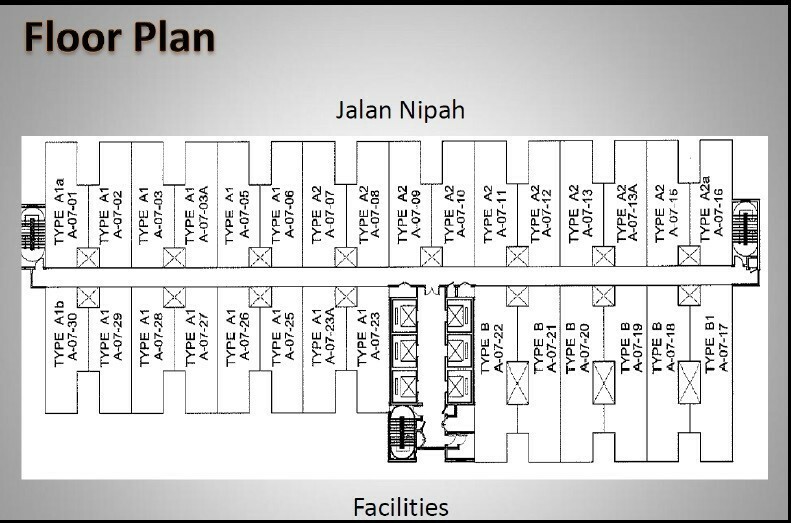 See more on the facilities in the video below by Titijaya Land. You may feel excited! PROPCAFE always advocate to do detail homework before any purchase. Benjamin certainly did it and PROPCAFE happy to provide platform for buyer to express their views which may not be the right answer for every readers but it would surely help by listen the story from the buy side while reading about the pessimistic view from source. There is no right or wrong as the result may only be known in many years down to the road. We can always learn from each other! Below are all the responses from Benjamin! Thanks a lot for the contribution! Benjamin: Price! 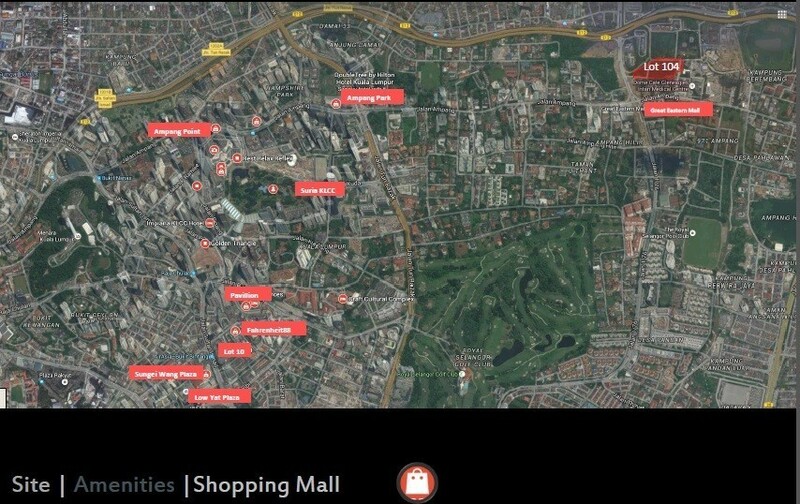 With less than RM300k, what are the projects in downtown KL can you buy? Especially only 4km to KLCC and Ampang is nice place to stay. So near to city and yet it has the environment for ownstay! The lowest PSF is about RM680psf according to my agent i.e. from around RM290k. I did not verify though on the sales chart. Density concern of this project? Benjamin: Yes, this tower already has 1100+ units. But, it is small unit so the no. 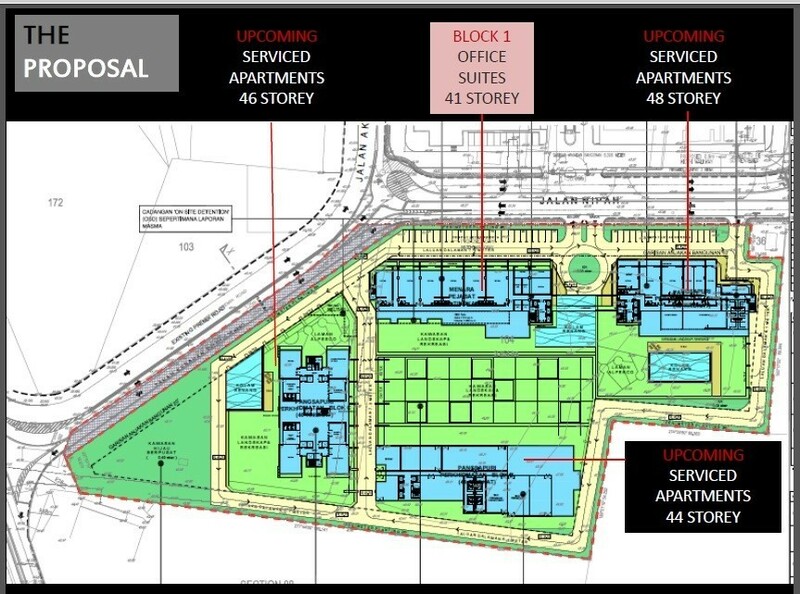 of residents will be much lesser than other projects that comes with larger size layout. To me, it is just like 400 units 1200sf size building. I can accept that. Still, it has two other blocks that would make up 2400 units. How about 110 units per lift usage in this block? 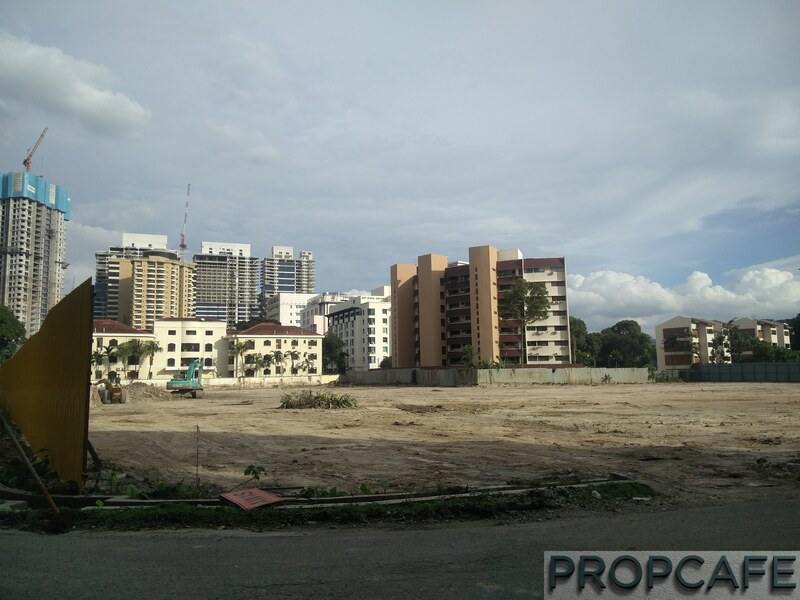 Benjamin: Yes, but the land is more than 6 acres which consider big in KL city. 400 small units per acre. Well, I am not expert but if treat it as one couple per unit, that means 400 couples per acres only. Haha. Sorry for my bad analogy. Seriously, you see all other projects that comes with 3 rooms and more than 1k units are launching everywhere! Lift wise, yes it seems not enough. I hope the developer will arrange the lift for high and low zone so the traffic can be controlled. 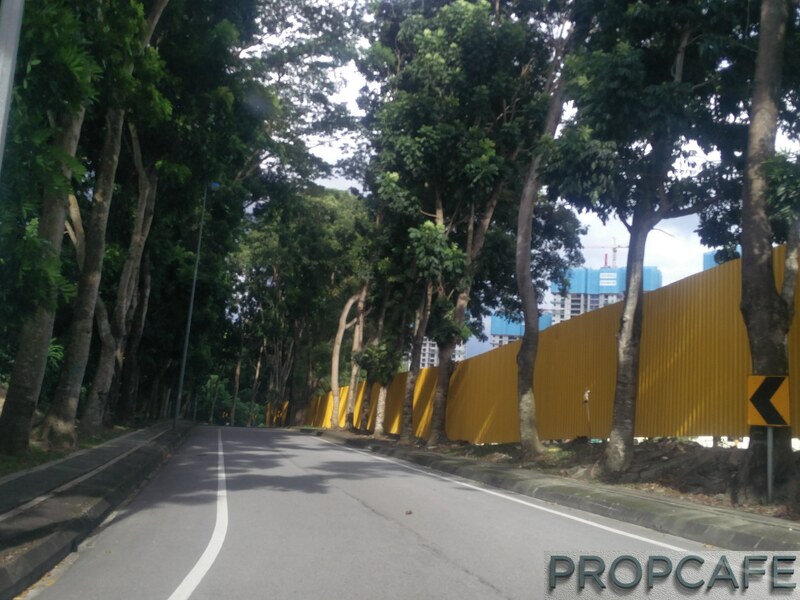 Many projects are on-going over this part of Ampang. Wouldn’t you worry? Benjamin: Agreed. But how many are selling at RM300k? 3 Towers and Arte maybe priced similarly for their studio or one bedroom units but hey, mine is two bedrooms! And lower price than them! I can rent out much cheaper than them and location wise is better and near to KLCC compares to them. 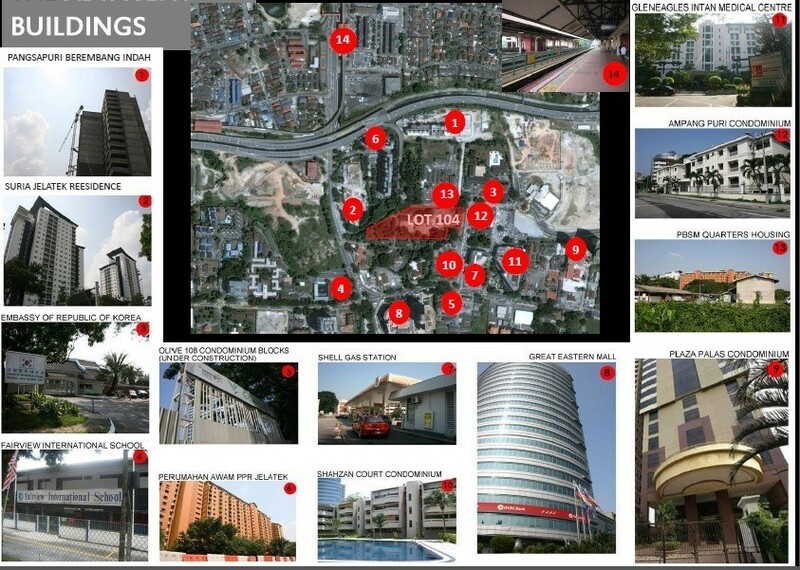 Benjamin: Nearer to KLCC compare to the rest like 3Towers, Elements, MCity, Astoria, Arte, Novo etc. 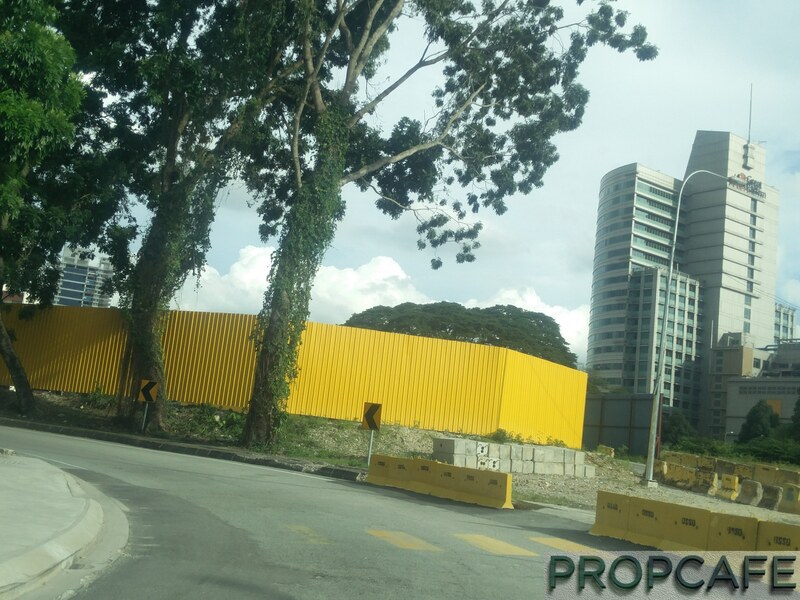 This site can go straight to Akleh and avoid the jam of Jalan Ampang and Jelatek there. 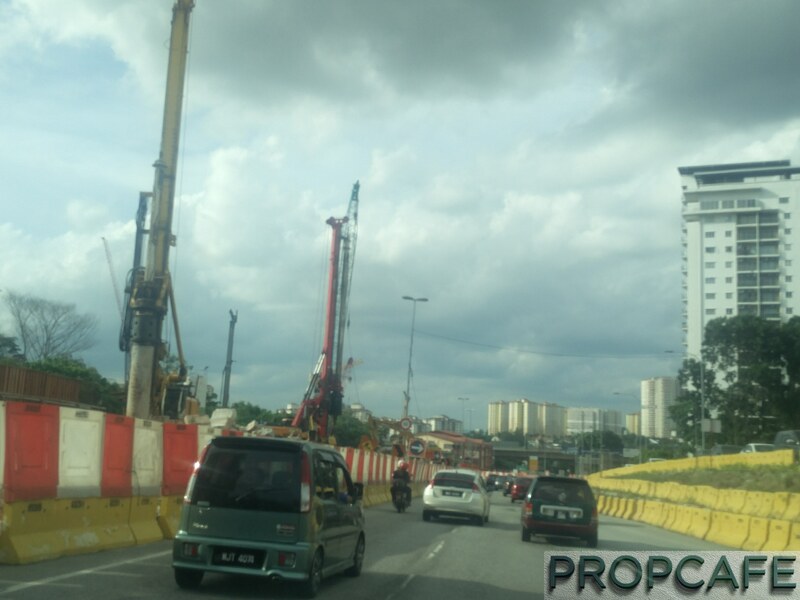 You can see the ramp from Jelatek to Desa Pandan is ongoing which eventually link to DUKE 3. Ampang especially this side still consider expats favourite. I don’t mind second or third grade expats as my tenant if I decided to rent it out. Benjamin: Yes, it also means many traffics there which always good for properties. 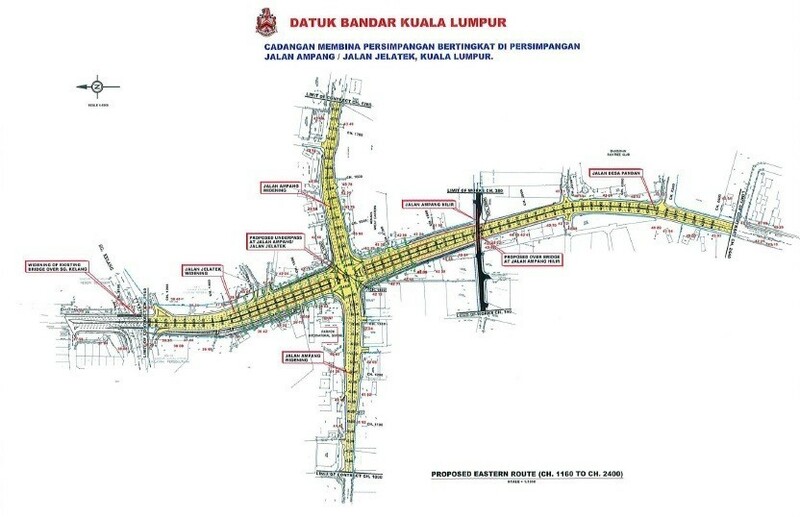 See the DBKL road widening plan which already started near Great Eastern Mall. I am positive on this from DBKL plan and the start of MRT. Neu Suites is SOVO i.e. office suites. Don’t you concern? Benjamin: Last time, yes. But not now. I used to stay in SOVO unit and the building turned out to be just like residential project as almost 90pc of owners used it as residential. Unless majority are not using it as residential then JMB maybe under pressure. If not, no one will stop (maybe DBKL will come but let’s worry later. Malaysia Boleh!). With toilet available and piping is there for your pantry or small kitchen. No issue to me. No carpark. Is it acceptable to you? 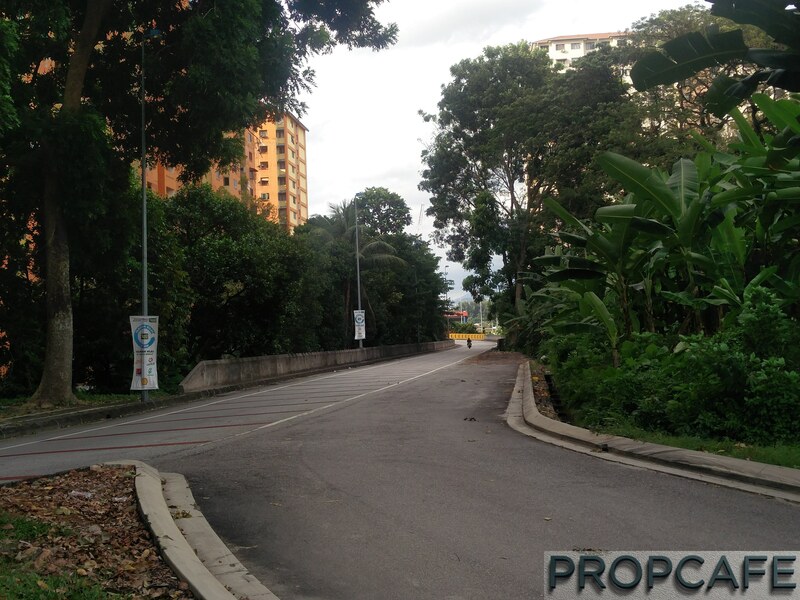 Benjamin: rm53k for a carpark is way too much, so I am not buying. 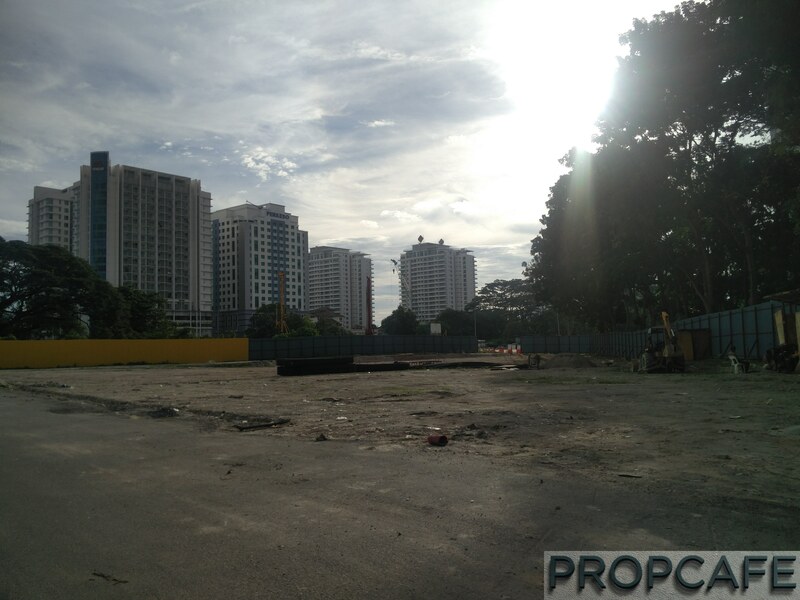 KL city centre property is getting common not to have carpark lot. It will be available for rent in future. Some investors were not so happy on Titijaya Land. What say you? 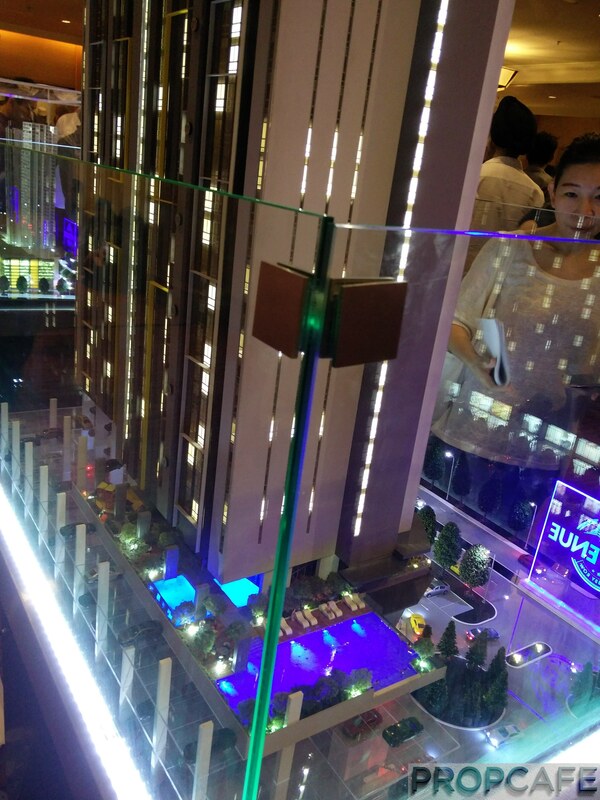 Benjamin: This project will be JV between Titijaya Land and CREC from China. Do you how big is CREC? Lol. Hope more financial backing from CREC will improve the delivery. I knew the history of Titijaya. Prepared worst but hope the best! Benjamin: Hope by that time, I don’t have to stay there (and have a bigger size property). So, it is aim to rent! Target 2nd or 3rd tier expat or local couple! Nurses, maybe? Lol. If not, I can still do Airbnb since it is so close to city and many amentities like restaurants, pubs, shops nearby. How you join the dot of your plan and expected rental there? Benjamin: I hope to get RM1200-1500 per month. 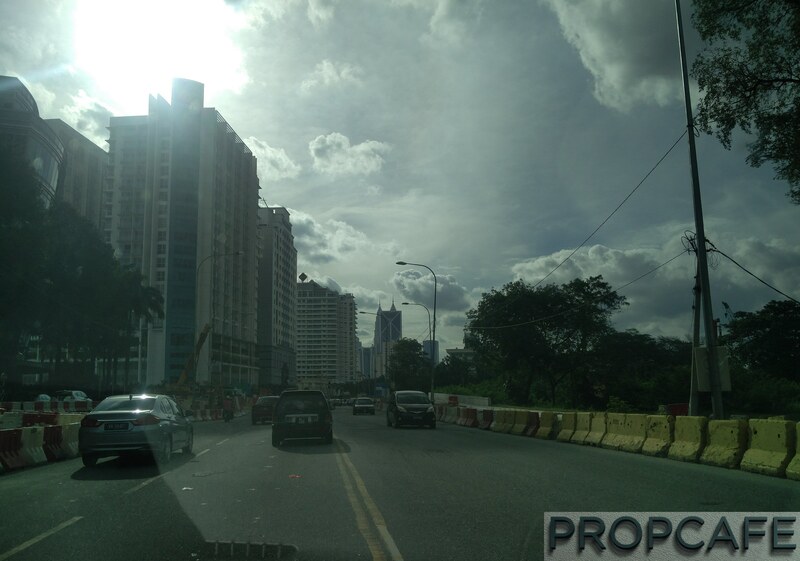 If you search iproperty with below RM1500 rent, you don’t get many choices in this part of Ampang. It means although many buildings but still lack of units for this range. The layouts are not so practical. Benjamin: Agreed. The earlier A1 dual key unit is just ridiculous. Two bedrooms and two toilets in 430sf. Lol. They changed the layout last minute during the launch. The new layout of A1 (see above) still no space for pantry, dining or sofa. 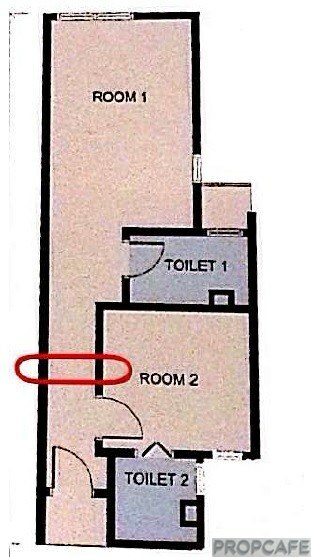 I am not a believer of dual key concept for small size property especially the second room. Rent just a room without pantry?? Come on. I took A2 unit as it can still squeeze in small pantry, kitchen and sofa although it is still very challenging to do it. At least, it is possible. Worst case, I will just take down the wall to make it one bedroom apartment. Haha! But A2 units means your unit will face the PPR flats and future development on the land infront which likely will be affordable housing. Benjamin: Yup, no perfect unit as A2 units all face that north orientation. A1 units will be looking to the another service apartment (very close!) and no great view either. Actually, type B 601sf has a better view which will not be blocked by the opposite tower (next launch). But the pricing is above RM410k, therefore, out from my target unit. Minimum facilities. Low or High floor? Any comment? Benjamin: No. Many thought SOVO has limited facilities. Please take a look on their latest video, it has roof top facilities, pool, game rooms etc. The lobby is grand too. With the price RM300k, come on! LRT station is 800m away! Far to walk? Benjamin: Correct. It is up to individual whether they can walk this far everyday. Lol. At least, it is there! To me, i focus more on conveniences on amenities and i am grabcar frequent user anyway. Exit plan? Expected selling price? Benjamin: I will hold for awhile unless Airbnb operators desperate to give me good offer. :). I will take it if they offer me 40pc of my purchase price. Or min. RM100k gross profit. Quick summary, why Neu Suites? 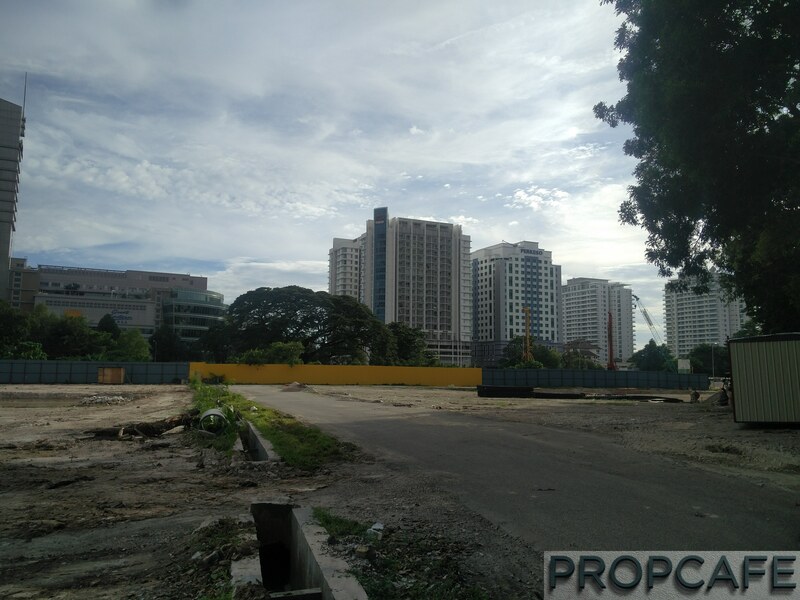 Benjamin: 5 years time, I doubt we can see any new properties in this location can offer rm300k from developer. 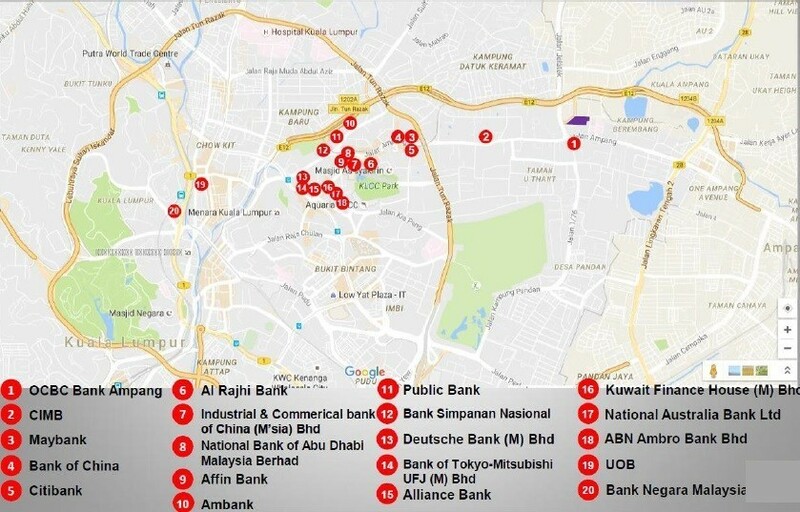 REAL Ampang location, investment friendly as SOVO means LTV85 is possible for me (I have two joint name properties with my sibling), i.e.5pc outflow after rebates, this rental demand (below RM1500) has not many supplies in this part of Ampang, Airbnb as back up so I won’t “die”. I love REAL KL CITY LIVING LIFESTYLE! Any BBB stories from you? Please share with us! There is nothing better than learning from each other and PROPCAFE (bunch of property crazy) was unofficially formed many years back because of this! I suggest you don’t use the pictures of all the facilities given as mostly is from V12 Sovo promo pictures.